What happens when you purchase it: After the payment has gone through, you will receive a download link through the email you have given at checkout. The link will expire in 48 hours or after 1 download. So make sure you download it onto the right device! *DISCLAIMER* All the illustrations are my own. This purchase is for personal use ONLY. The content may not be resold, redistributed, relicensed, rented or used in advertising. References of the information are included but they do not imply endorsement of those sources. Refunds: Due to the nature of the purchase, refunds are not available. If you have any questions, please feel free to get in touch! Hello! 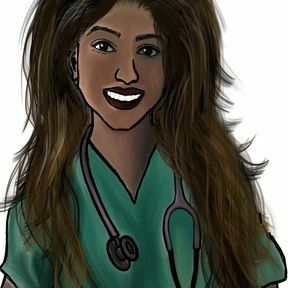 I am a medical student from England that blogs about her experience of medical school. I have a passion for art and medicine and this store shares some of the materials I have created.